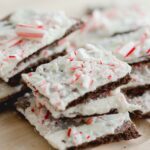 I love Christmas and I love giving homemade treats during this season but I don’t always have a lot of time to bake. That’s exactly why this recipe was created. 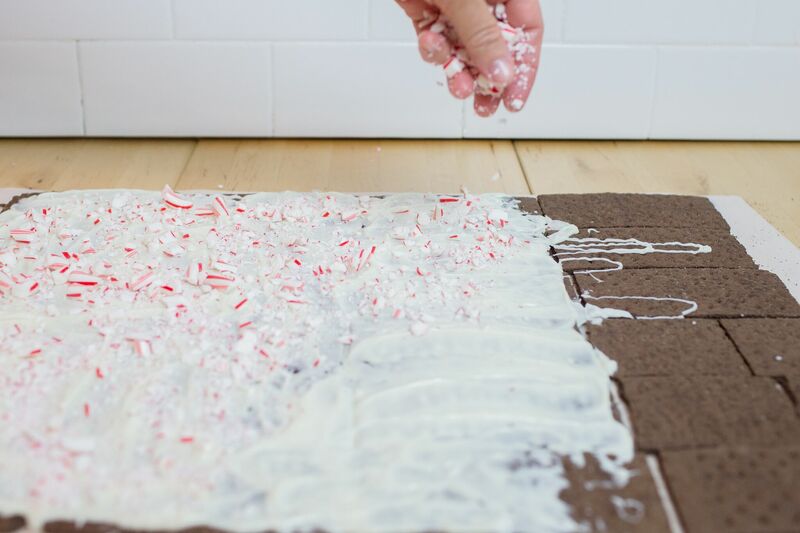 This Graham Cracker Peppermint Bark couldn’t get an easier with just 3 ingredients! GIVE ME MY MINI COOKBOOK! 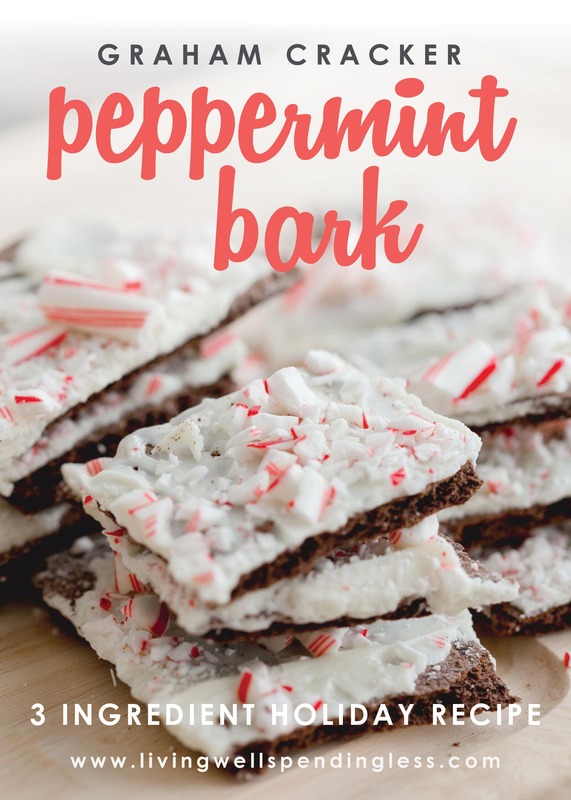 And it can been made in just about 20 minutes, then let it cool, break into pieces and place in pretty bags, tins or boxes for the perfect sweet treat to share with friends, teachers and neighbors. Step 1: Lay graham crackers on parchment paper to create a large rectangle. 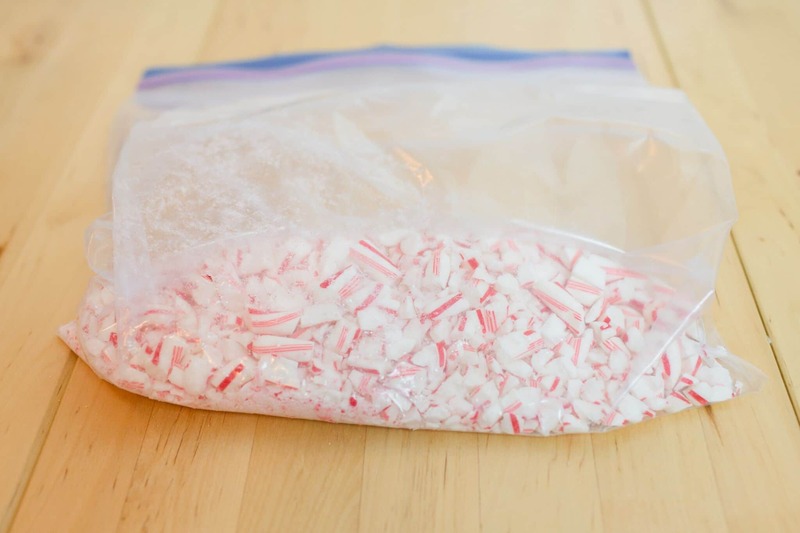 Step 2: Unwrap candy canes and break into pieces. Step 4: Then spoon melted chocolate over top of chocolate grahams and sprinkle the broken candy canes over top of the melted chocolate and grahams. Step 5: Let chocolate cool and then break into pieces. 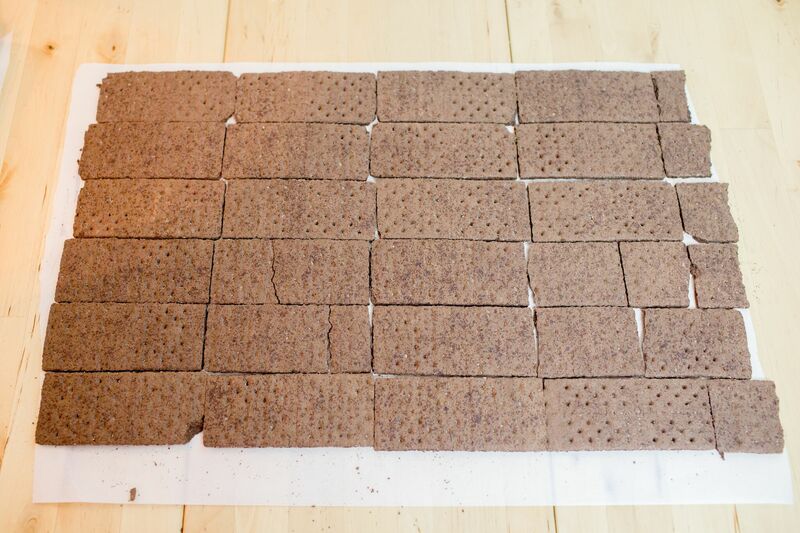 Lay graham crackers on parchment paper to create a large rectangle. 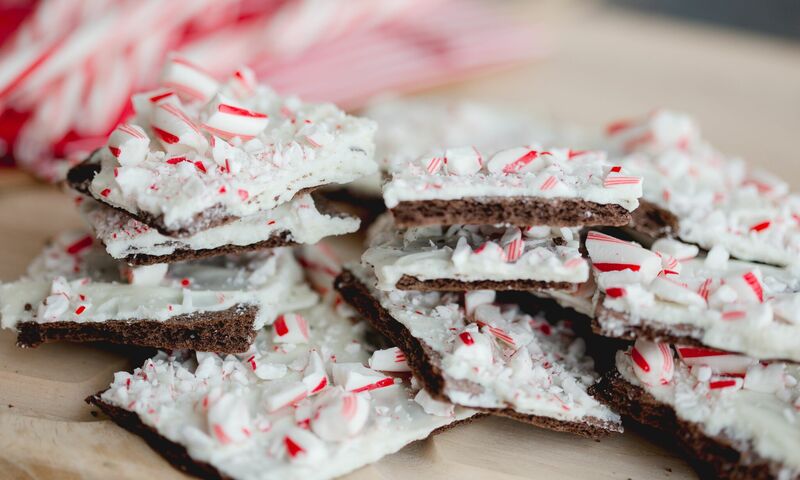 Unwrap candy canes and break into pieces. 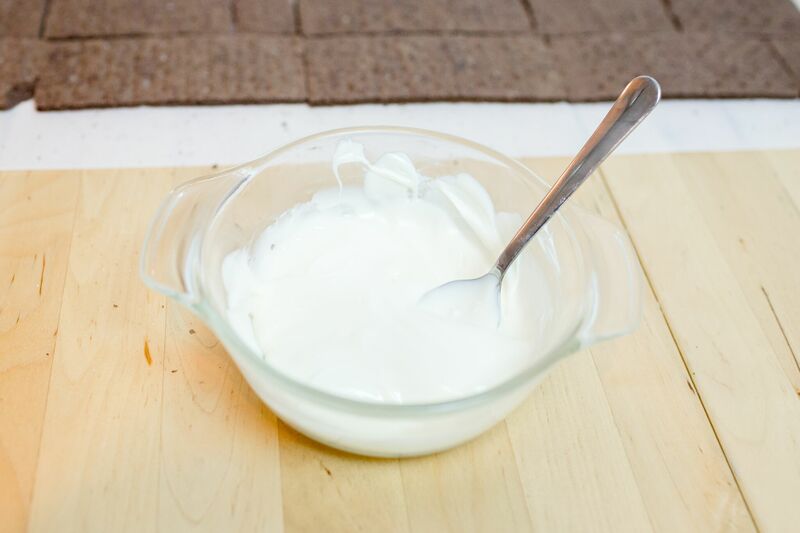 Melt white chocolate chips in your microwave. Then spoon melted chocolate over top of chocolate grahams. 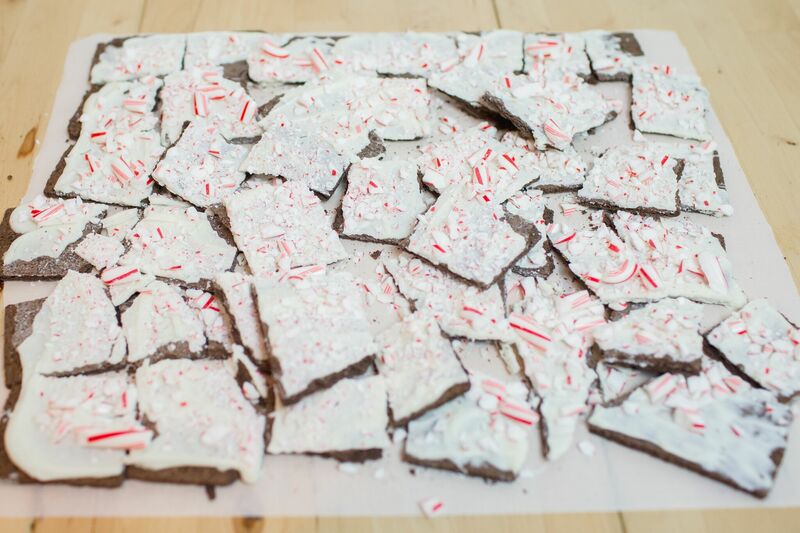 Then sprinkle the broken candy canes over top of the melted chocolate and grahams. Let chocolate cool and then break grahams into pieces. 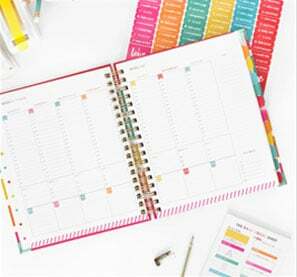 Perfect gift for friends, teachers, and neighbors. I am having a Christmas party on our last day of homeschool. This looks like the perfect snack for us all to make together! This looks great, will try it for Christmas party at work. 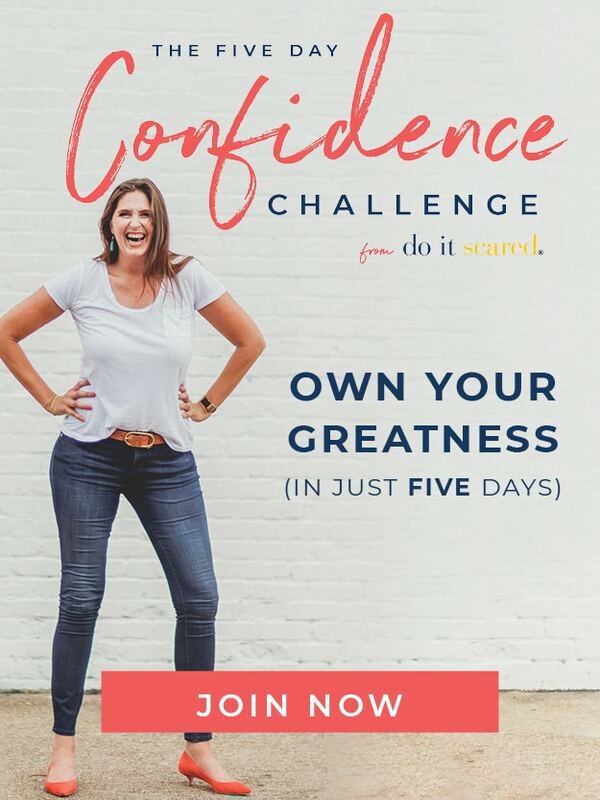 Please let us know what you and your co-workers think! Merry Christmas! And the treat for my son’s classroom Christmas party has just been decided! 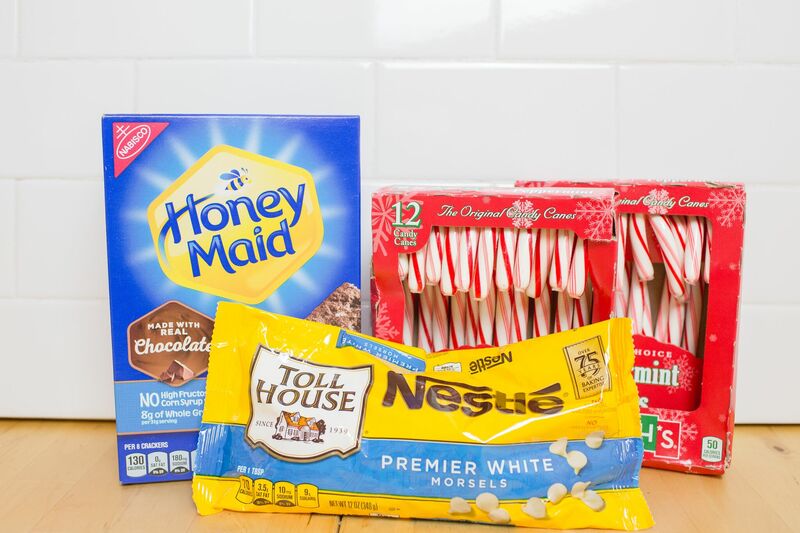 This mom is all about quick and simple recipes! Thanks! Just wanted to let everyone know that I made this for my son’s classroom party and the kids (and adults) loved them. I used regular graham crackers (because we already had some) and used peppermint chips instead of white chocolate. I was looking for a dessert recipe for the whole family and I stumbled on this article. I read and followed the instructions carefully and I made it deliciously! Every member of my family is so happy! Thanks for this!